While both of these teams have an overall 6-5 record for the season so far, they come into this game with differing fortunes. Barcelona lost on the road last week while Khimki grabbed a massive win at home to their Moscow rivals, CSKA. That will boost the away side but the hosts really need to get their Top 16 hopes up and running in this game. It has been a strange campaign for Barcelona so far. They started very strongly but as soon as they qualified for the Top 16, they have downed tools. This may be a good way to conserve energy but it can be difficult to turn form on and off, so the Catalan giants need to get back to winning ways as quickly as possible. Ante Tomic has been the main shining light so far this season, leading the way in points and rebounds. Tomic has grabbed an average of 14.1 points per game and an average of 6 rebounds a game, and if he performs well, Barcelona will have every chance of getting back to winning ways on Thursday. 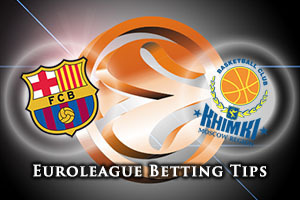 Can Khimki grab another big win? 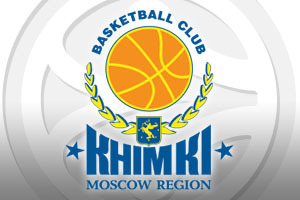 There is nothing like defeating a local rival over the festive period and Khimki will still be feeling giddy at defeating CSKA Moscow last week. This game provides them with a tremendous chance to cement their place in the upper echelons of Group F and give them with a great platform for making it through this stage of the season. Alezey Shved has been a big part of the success achieved by Khimki so far this campaign, averaging 16.8 points per game, and if he has a big night on Thursday, the away team could be celebrating once again. While it should be a tight game, the bookmakers think that the Catalan club will be able to win it with a bit to spare. With that in mind, taking Khimki Moscow Region at +6, and odds of 1.90, is likely to be a sound bet for Thursday evening. If you are keen to get involved with the Over/Under market for this game in Catalonia, look to go OVER 156.5 at odds of 1.90. Bet Now!